KeaKreative graphic design is a creative agency in Martlesham, Woodbridge, Suffolk. Concentrating on logo design, branding and website design. 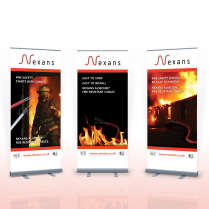 We also design for print and manage print on our clients behalf. People say not to judge a book by its cover but when it comes to your business branding this is exactly what people will do. We can make sure your branding is giving off the right signals. Logo design projects. A logo design is the basic foundations for your business, it says who you are and what you do in a graphic. It’s your business’ face. We listen attentively to the client to try to pick out the main points and/or personality of the business and try to express it in the logo design. I'd love to see more... Get in touch. 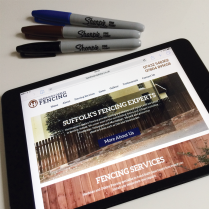 Using WordPress we produce completely custom and bespoke website designs that you, the client, can eventually take control of. 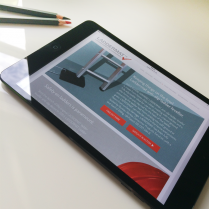 We produce responsive, mobile and device friendly designs to accompany your new website. This is highly recommended as many people are now browsing on their phones and tablets. 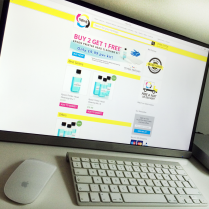 From single page brochure websites to larger e-commerce websites KeaKreative are happy to help. Print Design specifically for you. If we can design it, we can print it! 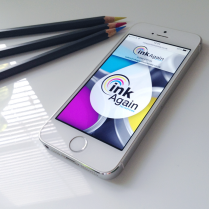 So you have your new logo, how about sticking that on a printed business card, letterhead or leaflet? We can help with that with complete design and print services. 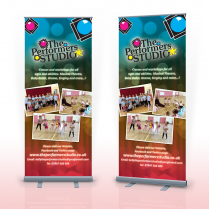 Posters, flyers, brochures, stickers, balloons, shop fronts, vehicles, usb sticks, pop-up displays, you name it we can print it. Make contact with the creative, Craig. Ready to discuss your needs and answer any questions you may have with regards to any design or print required (or anything else - try me!). Just fancy having a chat with us? Interested in our latest update or maybe you need to call us or email direct - here’s the section for you! We run on tea. Here’s how many we’ve had in the studio to date.